It’s funny how travelling to the same destination again gives you a different experience depending on the company you are with? Like reading a good book, you always revisit it at different stages of your life. And for this trip it was a little more special as it was a double couple trip! I’ve been to Sydney few years back for Lorde, didn’t really get to do much back then because it was only a short trip ( but sweet one! ) so I was really excited to go back again to do more. This time, we get to explore not only Sydney, but more of New South Wales. I was super happy when we got a greenlight from Singapore Airlines and Destination New South Wales. Do you know that Singapore Airlines flies to Sydney 31 times a week via Singapore? 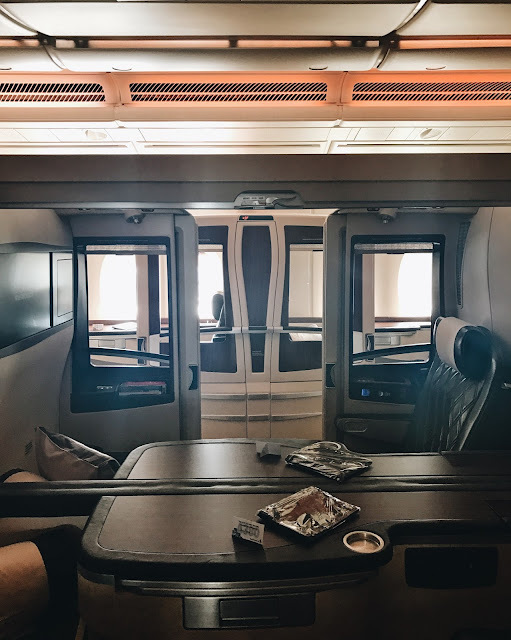 It’s also my first time flying with Singapore Airlines on their A380 aircraft, and I finally understand why they are one of the best airlines in the world! 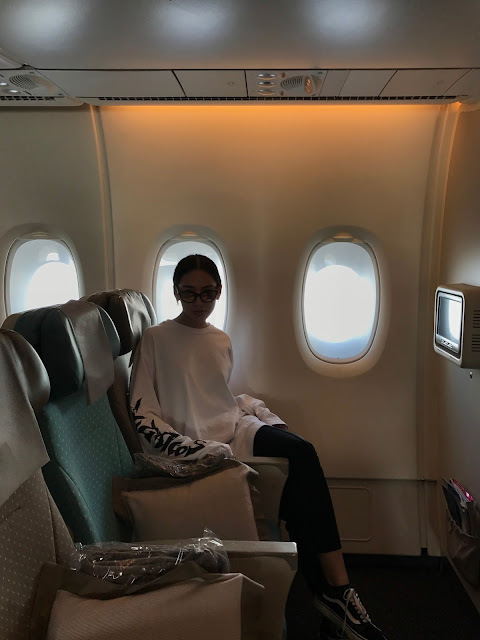 Their hospitality, flight punctuality; everything was on point. 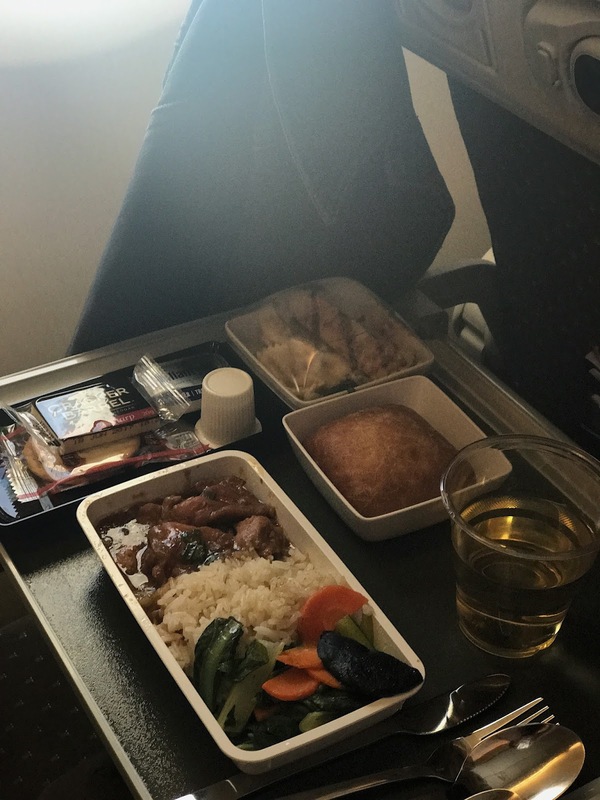 On top of that, delicious meals are also served on board with a wide range of drinks available throughout the flight. I used to dread airplane food but Singapore Airlines really changed my mind. I wish someday to experience their Suites, where you can have your own private space. It's the first in the airline industry, which allows you to experience the pleasure of sleeping on a distinctively designed, standalone bed; not one converted from a seat #BUCKETLIST. Anyway, here’s a full itinerary of my trip to New South Wales. The first day in Sydney was a chill one. We landed in the morning and got to meet our host, Julie, who is our host for the entire trip! - Checked in to Hyatt Regency Hotel. - Lunch at The Grounds of Alexandria. The place is crazy beautiful! One of the must-visit place for all Instagrammers! - Desserts and coffee at BlackStar Pastry for their famous watermelon cake! I also had an avocado toast! - Ramen dinner at Gumshara. It’s Bondi Day! Thank god the sun came out for a little while. - Yoga in the morning. We were supposed to have yoga by the beach at Bondi Icebergs POOL (google it to imagine how amazing the view would have been) but unfortunately it was raining in the morning. So we had to move to another venue. - Breakfast at Speedo’s Cafe. They have the best soy! I literally turned everyone to drink soy lol. This place has literally everything you wanted for breakfast, they even have a dedicated ‘Eat Clean’ menu! - Bondi to Bronte Coastal Walk. - Lunch at Sydney Fish Market. MY FAV CAFE OF ALL TIME that inspired me and Daphne to open Space two years ago. Tried their Key Lime Pie Waffle and it was amazinggggg. - Cocktails at a speakeasy bar, located in a super cool basement! If you love whisky, this is the place! I had a great gin based cocktail. - Thai Dinner at Home Thai. Was craving for some thai food. Crazy long 1.30hr queue but the wait was worth it. Checked out from our hotel and we were off to Port Stephens.Port Stephens is a town located about 2.30hr drive from Sydney. I didn’t know about this place until we received our itinerary. Thank god the weather was great the entire day. We had Maccas on our road trip as breakfast. Truffle fries was good tho. How I wish we had it here in KL! - Sand Dunes Adventure day! I was pretty afraid at first cuz I didn’t know how to ride an ATV. It was surprisingly quite easy to learn. Our guide brought us to a few crazy cool location within the sand dune and we did sand boarding from a 50ft sand dune. Twice. Kudos to Hanpin as he’s super afraid of heights but we made him do it twice! I highly recommend this place to anyone who is interested in a little bit of adventure!!!! - Lunch by the beach at Crest. We spend lunch for both days in Port Stephen here. Salt & Pepper Squid is my fav! - Check in to Anchorage Port Stephens for a night! PRETTSSSSSS. EVERY CORNER IS PRETTTTSSSSS! It’s about 1.1km hike up to reach the summit or 2.2km (return). THE VIEW ON TOP IS STUNNING. We get to see the most of Port Stephens. Definitely worth the hike! - Dinner at The Gallery in our hotel. 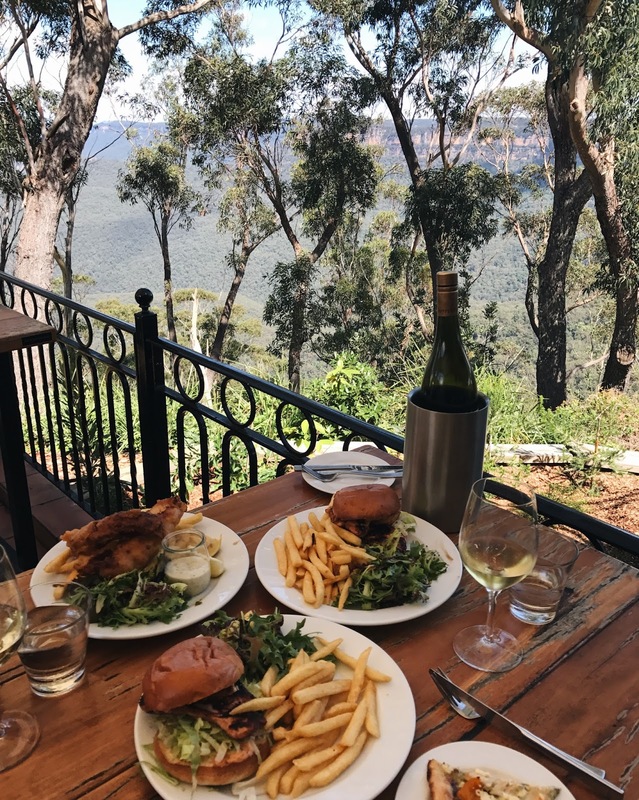 One of the best dinner we had in NSW. Check out and had breakfast at our hotel. - Dolphin Watching Cruise! I’m so glad that the weather didn’t stop the dolphins from showing up. They said you can even see whales if you come during the whale migration season from May to November! - Took a 1.45hr drive to The Entrance for Pelican Feeding experience. - Back to Sydney and check in to our next hotel at Pier One Sydney Harbour. Our hotel is just right beside the Sydney Harbour Bridge, and Sydney Opera House is right opposite us! Sadly it was weekday, else we could have gone to Luna Park! - Burger dinner at Bar Luca! A few of my followers introduced me to have burgers here, it was awesomeeeee! You get to add tons of toppings and have your own ‘bespoke’ burger. The shoe string fries that came with our burgers was amazing. - We had cocktails at another speakeasy bar, Palmer & Co which is about 15 minutes walk from Bar Luca. Gatsby themed bar. Good vibes! - Breakfast at Barangaroo Headland. Business District located at north-western edge. - Troll Tours with Harley Davidson! Super fun tour around Sydney on a Harley Davidson. We took our tour from Barangaroo to Watson’s Bay. - Lunch at Watson’s Bay Boutique Hotel Beach Club after a short coastal walk around Watsons Bay. - Ferry Ride back to the city. - Coffee at Skittle Lane Coffee. 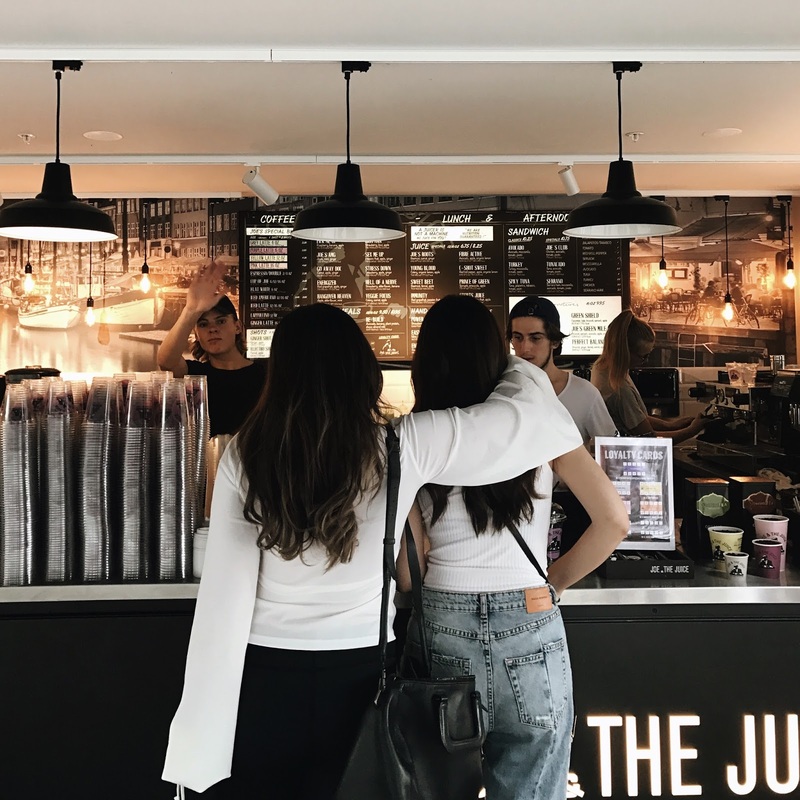 A minimal coffee bar that serves real good coffee! More for to-gos! 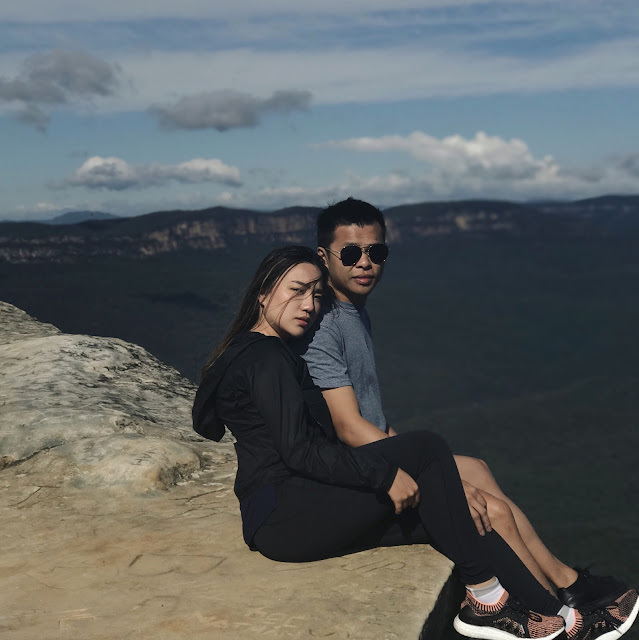 It’s all about exploring Blue Mountains! - had breakfast at the hotel and checked out. And we’re off the Blue Mountains, about 1.30hr drive from our hotel. Where we took the cliff photo! I know it looks extremely dangerous, but it was actually okay as it’s not a clear drop like you see in the picture. - Checked in Adina Apartments Sydney to spend the last two nights. Last day already :( It’s a photoshoot day for Nat & Ben’s Wedding. I’m basically the creative director for the shoot and Alev was the photographer! Nat & Ben booked a kombi for the shoot and it’s super cute. I don’t want to reveal too much, but can’t wait to share with you all soon! Bills was located right below our hotel. Was here last few years and I remembered their mocha was super good! Still love this place tho! PANCAKES IS AWESOME! - Korean Barbeque Dinner! Super good korean bbq! The cheese mushroom toppoki so good! For great fare deals to Sydney, visit singaporeair.com/mysydney. Amazing trip Jane..! If u don't mind sharing, how much did it roughly cost (just ballpark) per person for such an itinerary for the whole trip? Just updated on the similar costings! Is your boyfriend Hanpin a blogger/social influencer too? May I know which filter you use to edit your pic? 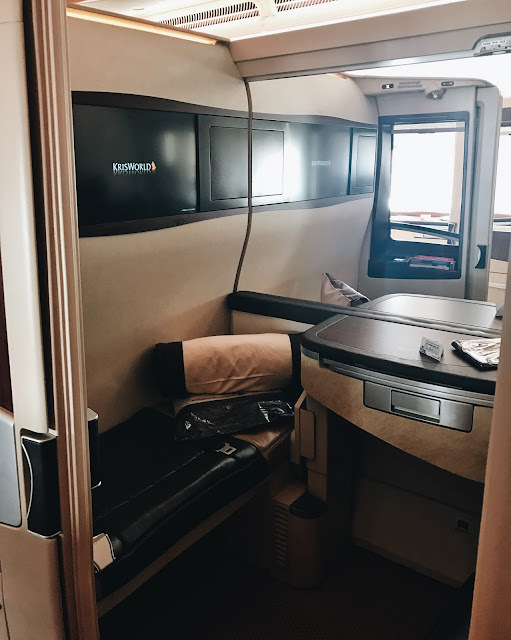 sorry just a question, which travel agent you using, is it the ---->http://www.goldendeluxe.com.my/product/country/9/Australia/12/Group which you mention in your blog ( the golden luxury tour)??? or it is a self plan itinerary as you mention meet your host Julie.